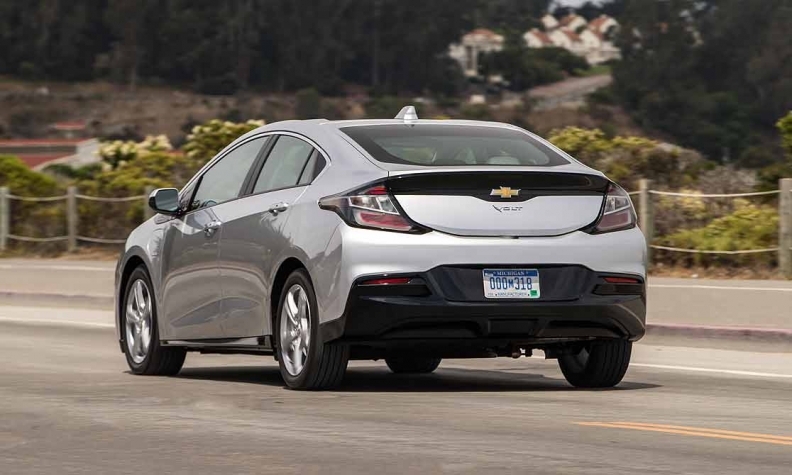 DETROIT -- General Motors has cut the time needed to recharge the 2019 Chevrolet Volt plug-in hybrid nearly in half by doubling the kilowatt capacity of the car's charging system. The new 7.2 kilowatt charging system reduces the charging time from roughly 4.5 hours to 2.3 hours with a 240-volt outlet, GM said Thursday out of Detroit. A GM Canada spokeswoman confirmed to Automotive News Canada on Friday that the changes apply to vehicles sold in Canada, too. She said GM Canada plans to make a similar public announcement July 3. The range of the 2019 Volt remains at 675 kilometres (420 miles), including up to 85 kilometres (53 miles) of pure EV range that equals 106 MPGe, or gasoline equivalent. Once the car's battery runs low, a gas-powered generator kicks in to extend the power of the 1.5-litre direct injected engine. Upgraded infotainment system with an eight-inch-diagonal color touchscreen.